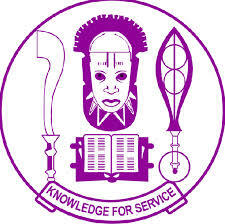 THE University of Benin (Uniben) Direct Entry Screening Result for 2014/2015 academic session has been released online by the school management board! According to information which was relayed to us, the UNIBEN leadership board decided to release the Direct Entry (DE) screening result today, the 1st of October 2014! So therefore, using this medium, the Dailyschoolnews.com.ng educational publishing team, wishes to inform and notify members of the general public, particularly, all those great candidates who participated in the just concluded Direct entry screening examination of the University of Benin, (UNIBEN) that the result has been released online and you can check the result using the official guides below. 3: Then click on the “Login” button to check your performance. 4: To successfully and easily check your performance, ensure that you scroll down to the bottom of the page to view your score. It’s important for all student to note that their “ids” now start with ‘B’. This is to say, that if your data have been migrated from the old portal just put ‘B’ in front of your old id. Your password has not changed. We’re wishing you, the very best and don’t forget to share this information with your friends on facebook, twitter and google+, using the share buttons below.